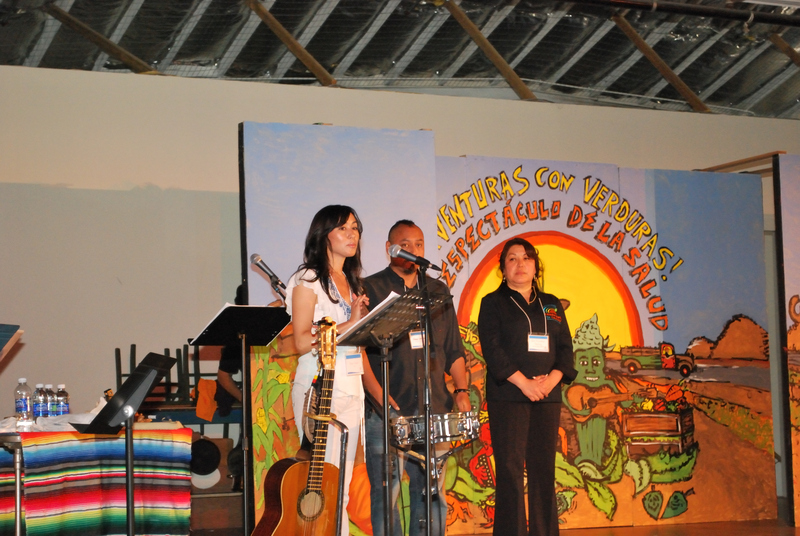 On Saturday May 21st, 2011, in Salinas, California, TANA presented, “Aventuras Con Verduras! Un Espectaculo de la Salud” (An Adventure with Veggies! 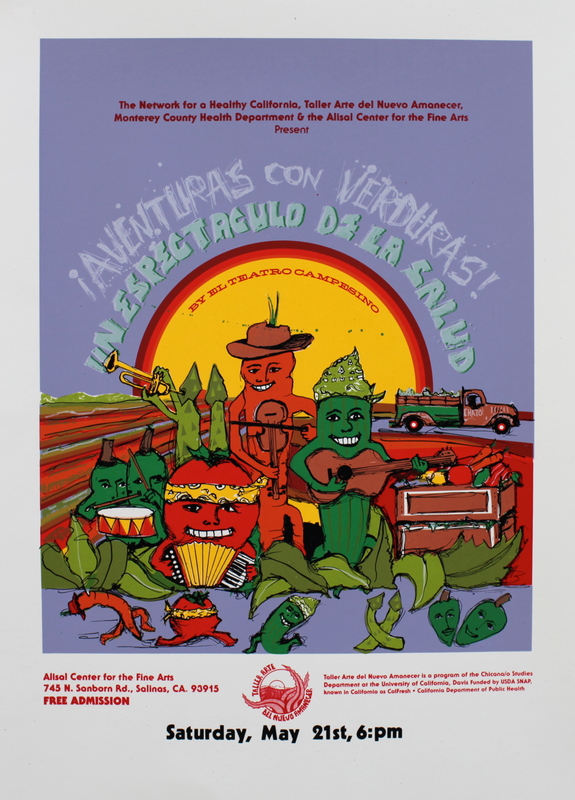 A Spectacle of Health) by El Teatro Campesino, in collaboration with The Network for a Healthy California –Central Coast Latino Campaign, Monterey Country Health Department, El Teatro Campesino and the Alisal Center for Fine Arts. Aventuras Con Verduras, created by the El Teatro Campesino ensemble and directed by Kinan Valdez, was commissioned by TANA as part of a Leadership Project grant entitled, Preventing Health Disparities through Nutrition Education Teatro, funded by the Network for a Healthy California-Latino Campaign. 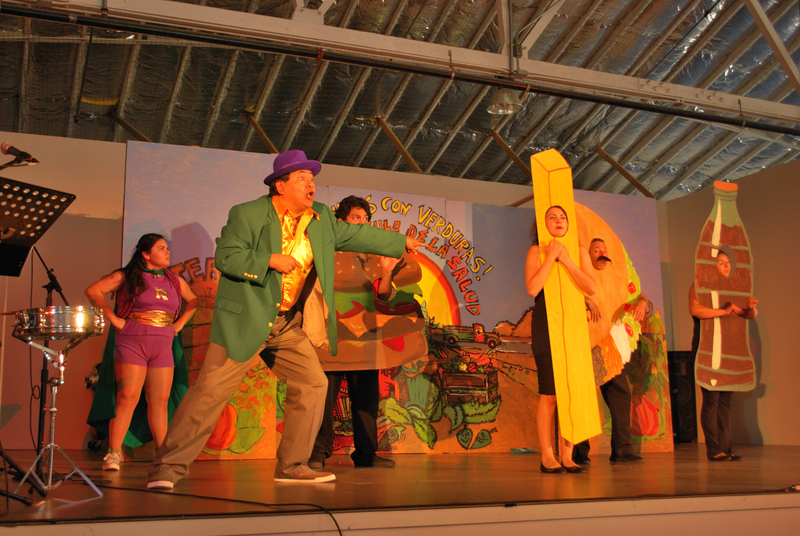 The 50 minute bilingual play, accompanied by live music and song, was created for a multi-generational, low-income, Latino audience, to promote a dialog within the community about eating more fruits and vegetables, staying physically active and promoting California’s Calfresh program (formally known as SNAP- Supplemental Nutrition Assistance Program). The May 21st event was held at the Alisal Center for Fine Arts in East Salinas and showcased two free performances, at 2:00 pm for community leaders and at 6:00 pm for the general public. These performances drew an audience of about 150 people. 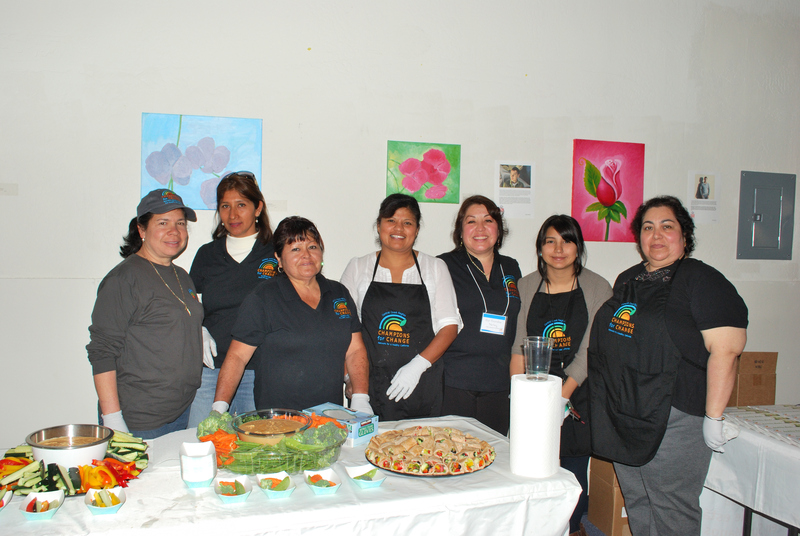 The event also featured healthy food samples, prepared and served by the Network for a Healthy California “Champions Moms” as well as an Art Exhibit by students of Hijos del Sol. Media advisory, organized by The Network for a Healthy California –Central Coast Latino Campaign included promotion on local radio stations, a television interview on Univision (Monterey County) and a 30 minute interview on “Le Duela a Quien Le Duela” with Jose Valenzuela on La Preciosa 100.9fm. TANA also designed the visual campaign for the teatro event, which featured a silkscreen print created by Chicana/o Studies Professor Emeritus, Malaquias Montoya. 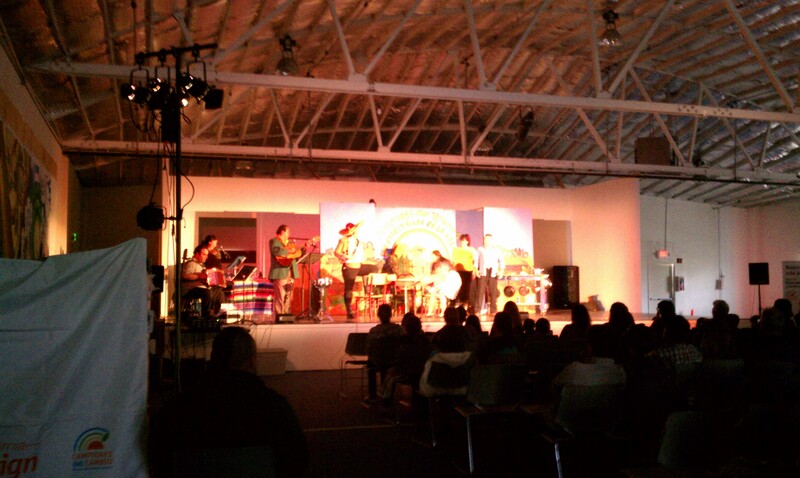 The presentation of Aventuras con Verduras is the first of three Teatro events to be coordinated by TANA in the 2011 grant year. The next Teatro performance will be presented at the Dixon Migrant Center on Saturday, July 30th featuring Sacramento based group El Teatro Espejo, directed by Manuel Pickett. 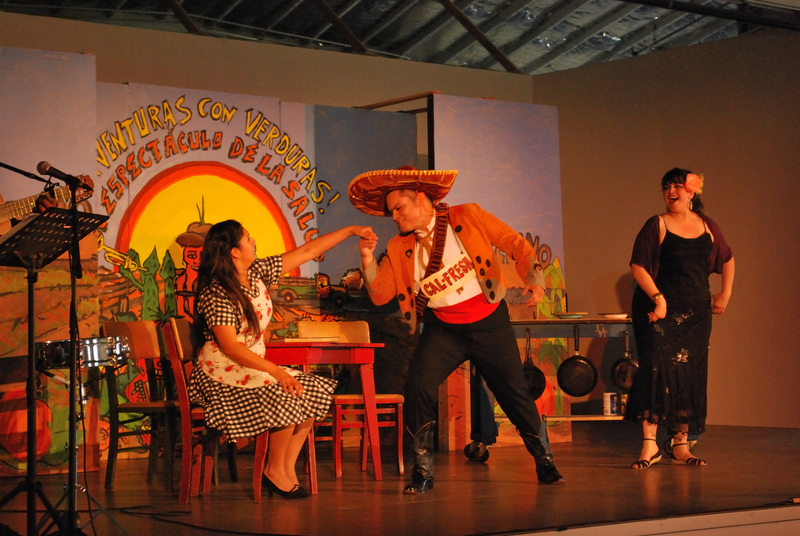 El Teatro Campesino will be presenting a subsequent performance of Aventuras con Verduras at the Woodland Opera House in Woodland California, on Saturday, August 27, 2011. TANA had coordinated and presented a previous Teatro event at TANA’s studio in September 2010, which included a Wellness Fair featuring 20 local community organizations, a radio satellite, and a raffle give-away, which included a free youth bike to promote physical activity. The Teatro was performance by El Teatro Espejo and directed by Manuel Pickett. Caption: TANA Program Coordinator, Noemi Castro, welcomes the audience to the presentation along with El Teatro Campesino Director Kinan Valdez, and the Network for a Healthy California –Central Coast Latino Campaign Coordinator, Lupe Covarrubias- Martinez. Caption: the Network for a Healthy California, "Champion Moms"